[値下げ] Layers Shots | Mac App Storeのアプリ検索・ランキング BuzzMac! Capture full web pages (WebShots) and full application contents (AppShots). 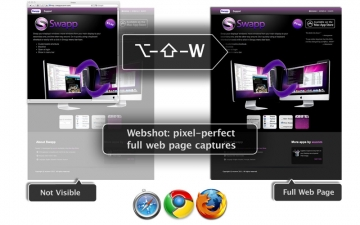 - WebShot: capture complete web pages directly from the browser, pixel accurate. Safari, WebKit, Chrome, Firefox 3 and more. 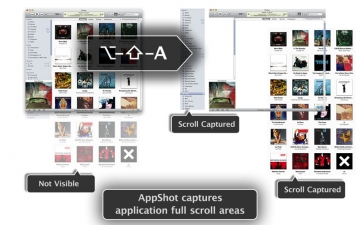 - AppShot: capture the full content of most Mac applications windows, even if that content is not visible. Every scrollable area will be saved as a PSD layer. - When required the capture will be saved as a PSD. - Take the snapshot at the press of a keyboard shortcut or easily with a click on a menu bar icon. - Select one or multiple windows from the status bar live menu. - Highly customizable screen shot file names: custom session name, captured application, window title, date and time, language, session and global counters, or even per-capture prompt. Contact us at layersshots@wuonm.com or follow @layersapp in Twitter.